Come – true recreation in nature! More than 400 recreational opportunities, paths and trails to discover forest magic – Mother Nature has a stash of miracles and wisdom in store for you. You are visting a mother and you will return – cleaner, smarter and happier. Welcome! The doors are open! 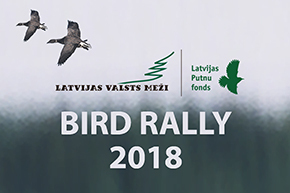 The interactive map provides opportunities for finding the most suitable recreational locations before heading out to forests, the territory of JSC “Latvijas valsts meži”, ranging from a wooded area’s crossroad hut to the most family-friendly high forest in Latvia – the Tērvete Nature Park. To view a full-screen map, press “view map”.